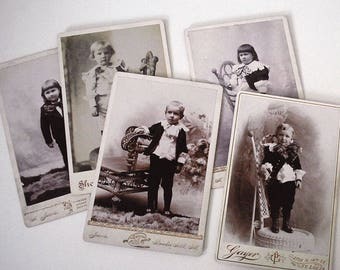 Four striking antique cabinet cards featuring portraits of Victorian men in their Sunday best. 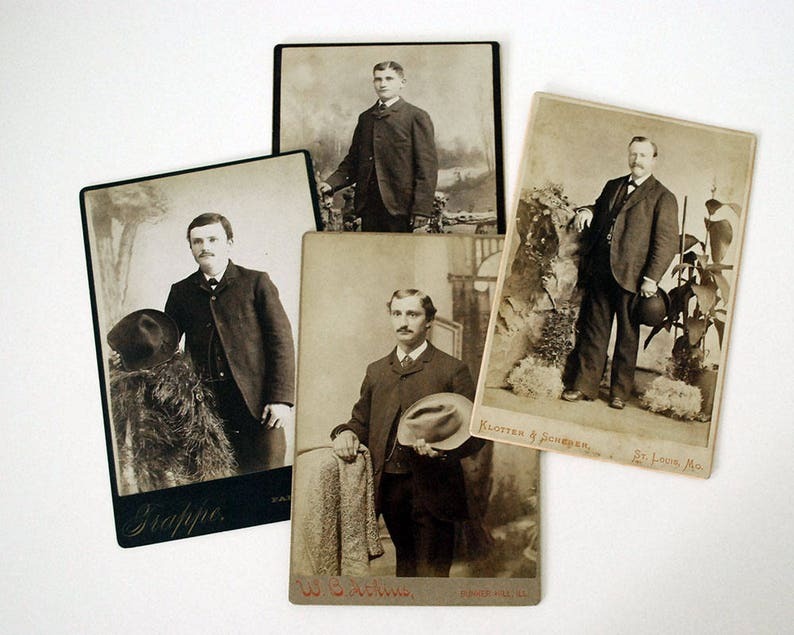 Dating to the mid to late 1800s, these black and white / sepia photographs are affixed to cardboard with the photography studio name on it. The photos are full or three-quarter length and shot in studios with rustic outdoor props, in three of them, and a drawing room setting in the fourth. Three of the men are holding their hats, and they're all four wearing rumpled suits and serious expressions. 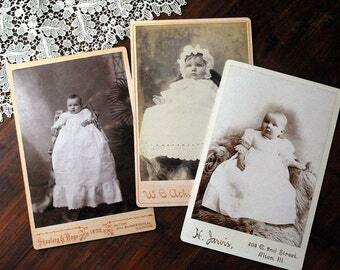 Cabinet cards were introduced in the 1860s, with peak popularity from 1870s to 1890s. They were a nice size (4 1/4 x 6 1/2 inches) for displaying in a cabinet, hence the name. The photographers were all from the St. Louis area: Rino, Klotter & Scherer, Frappe, and W.B. Atkins (from Bunker Hill, Illinois, across the river). The Frappe photo is also printed on the back of the card. 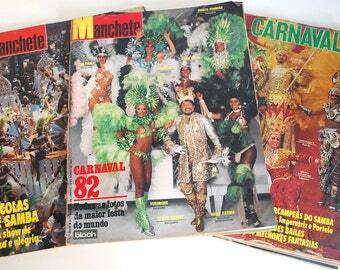 All four are in very good condition.